The Judicial Council has revised rules of court and forms to help implement a statute that expands the use of expedited jury trials in California, effective July 1. Addressing two concerns hampering wider use of the process, the statute now requires them in most limited civil actions (other than unlawful detainers) and makes the judgments appealable. The expedited jury trial process is intended to be quicker and less expensive than a traditional jury trial, saving time and money for all involved. Shorter trial length (each side will now get 5 hours to present their case and conduct jury voir dire). Smaller jury (8 jurors instead of 12, with only one alternate in mandatory expedited jury trials). 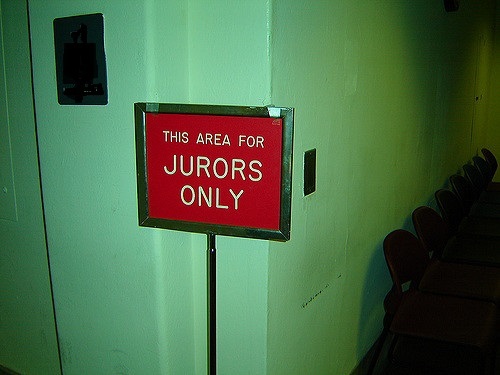 Faster jury selection process (fewer peremptory challenges ). In addition, the council recently approved grants to help California superior courts make jury service more efficient and convenient for jurors. The Judicial Council’s Technology Committee approved grant funding for projects such as check-in kiosks, web-based services, and jury software and operating systems. Grant funding totaling $465,000 for fiscal year 2015–2016 will help fund 27 projects in 19 courts. Note: The judicial branch celebrates Juror Appreciation Week this year May 9–13.